Exercise #16: "What's in Your Wallet?" Make a list of the items in your wallet. Then, imagine that you were much wealthier than you are now. What might be in your wallet then? Make another list. Then, imagine that you were much poorer than you are now. Make that list. some coins... I don't know how much. They're remaking The Secret of NIHM based off of Robert C. O'Brien's Mrs. Frisby and the Rats of NIHM. I am just... saddened. Why is Hollywood obsessed with fixing what's not broken? I mean, yes, it's an old movie. But age does not automatically mean obsolete. I would be up for a refurbishment of the old film (cleaning up the lines a bit and removing some of the markings that have been added due to misuse, etc), but an entirely new film? I mean, sure. 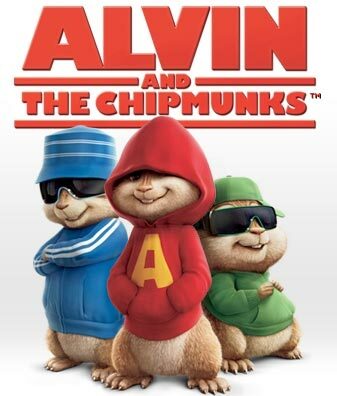 It will bring more attention to the book and the orignal film, but I will be so very disappointed if they make it into some CGI crap along the same lines as the Alvin and the Chipmunks disaster (That's what they're in talks about doing.). It's just offensive, is what it is. I can just imagine it. The script of the original movie (which, by the way, was nothing short of cinematic genius) is scrapped totally because it doesn't have enough pop culture or potty humor. So they essentially remake the entire script, and it doesn't even resemble the original plot line. It moves quickly so that today's overdiagnosed ADD youth can comfortably watch the film. God forbid they actually watch something that isn't full of explosions and poop jokes. Sure, the original was a bit dark. It most certainly stuck out as far as that goes at the time of its release (1982), but that's one of the things that made it so great. It wasn't this cutesy (well, not horribly so, anyway) animated drivel with no substance, and it was entertaining to boot. Also for more information on this travesty, click HERE. Bad. Bad, bad, bad. I hope this idea goes down in flames without any sort of success in creation. Please, God, grant this request.